Mix up a Coney Island favorite with our savory Mini Corn Dog Muffins. 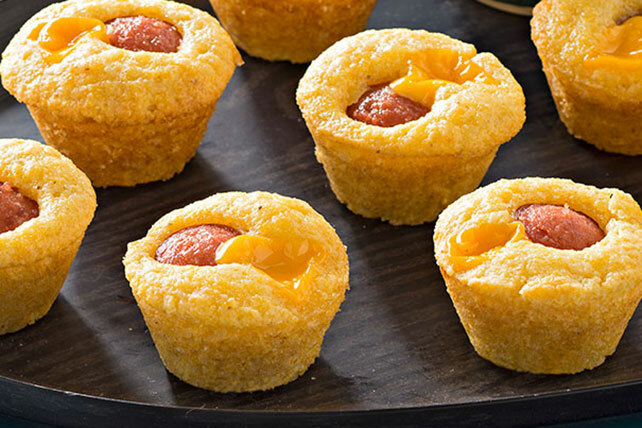 These yummy, cheesy Mini Corn Dog Muffins are served with a side of spicy mustard. Prepare using OSCAR MAYER Turkey Franks. Always check the "Use-By" date on the package. Once opened, rewrap hot dogs well and use within 5 days.